I like to use sites like these, Teacher Vision Calendar and The Teacher's Day-by-Day Calendar of Events, and this book, The Teacher's Calendar to add some "spice" to our daily life. These are resources of the What-Happened-Today-in-History variety. 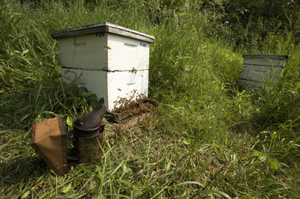 The kids enjoy it and I like the wide variety of topics it brings into the house. So I wanted to share with you that on this day, in 1953, DNA was discovered. From my understanding, scientists knew it existed, but James Watson and Francis Crick identified it as the means of carrying genetic material in living organisms (or ones that reproduce). In my research, I came across this video from TED (Technology, Entertainment and Design). Filmed in February of 2005, James Watson tells the story of how he and Crick discovered the structure of DNA. It's about 20 minutes long, but worth your time. He's very funny and I thought the whole talk was extraordinary. For Black History Month, we've been focusing on some well-known African Americans. As always, there's GREAT information on the web, but I came across a video of Alice Walker reading Sojourner Truth's speech "Ain't I A Woman" that's just fantastic. I've listened to it many times now and it becomes more powerful with each reading. If you'd like to watch, click here. I also just finished reading her book, The Narrative of Sojourner Truth . It's only 74 pages, so a quick read and easy to fit in when all those other books are stacked up waiting for me! I'm always drawn to books with beautiful illustrations especially if the pictures are from nature, so when I saw this book a while ago at the book store, it's no surprise it ended up on my bookshelf at home. 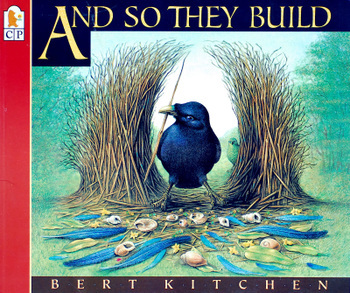 And So They Build is written and illustrated by the award-winning artist Bert Kitchen and can be enjoyed by any age. 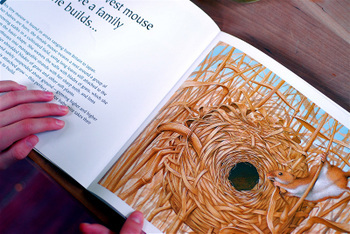 Don't be deceived by the cover, this book contains information about a variety of fascinating animals that build intricate and complex nests for their young, not just birds. 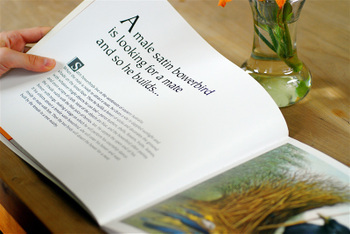 The bird on the cover is the Satin Bowerbird and we thought it was one of the most interesting animals in the book. We did some research and found this video clip hosted by David Attenborough. Take a moment and click through, you won't regret it! 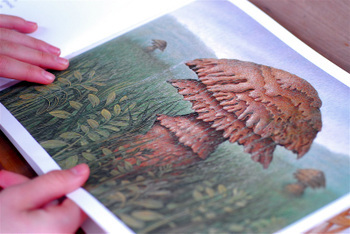 Here are a few photos from the book to give you an idea how exquisite the artwork is. "Happiness? 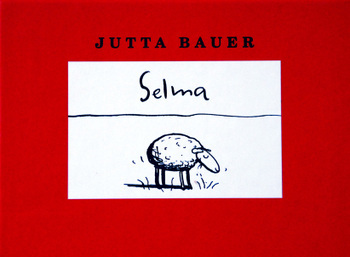 Let me tell you the story of Selma..." and so begins this wonderful little book titled Selma , by Jutta Bauer. Selma is a contented mama sheep who spends her days eating grass, playing with her children, exercising in the afternoon, chatting with her neighbor in the evening and then falls fast asleep. When asked what she would do if she had more time or more money she responds with her perfect day... she'd eat some grass, play with her children, exercise in the afternoon, chat with her neighbor in the evening, and then fall fast asleep. I LOVE this book. When I first read it, I thought - that's me! Especially if you've ever been through difficult times, you know how precious "normal" days are. Family vacations, holidays, birthdays and anniversaries.... those are all wonderful, special times. But, the best times for me are our regular days, at home. 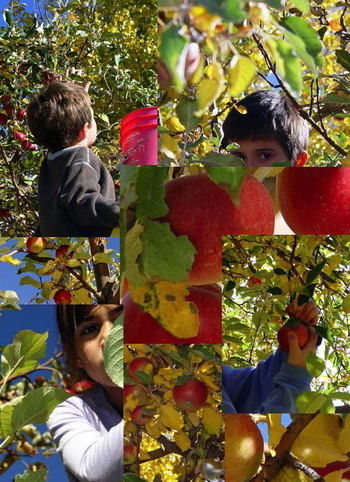 Hot tea, blogs and e-mail in the morning, school with the kids until lunchtime, projects or a picnic in the afternoon, my husband coming home in the evening and my whole family safely nestled in their beds at night. For me, nothing is better than that. I'm SO Selma. In Classical style, to become a successful writer, students learn by first modeling the style of great writers. In the same fashion, to become an accomplished artist, one learns by imitating the works of the masters. 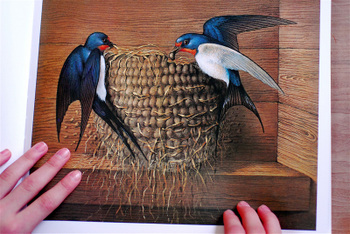 Today, we used this technique in our artwork, but by using great storybook illustrators as our models. I chose four books and handed them out to the kids with instructions to choose a picture and copy it as closely as possible.